Seems he didn't play for Lyon lastnight so looks like he's on the move but maybe not to us as i've just read chelsea are favourites to sign him, any thoughts on this, i'm 50-50 on it due to the knee problem he may have. Real to tap in for Salah? Latest outbursts from Stokes and Arsenal camps suggest both dressing room and fans' discontent with big names not pulling their weight in their club's relegation and downward spiral battles. Names like Shaqiri, Ozil and Sanchez come to mind; "disappear from games", "goes missing" are all too often heard in post-game comments. Let's hope we see a very different and motivated Shaqiri in the LFC red jersey!! 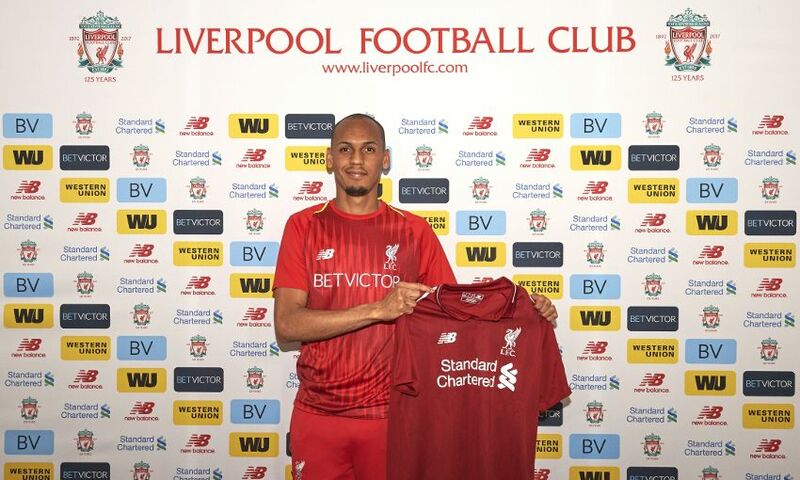 Fabinho's combination of character and ability make Jürgen Klopp delighted with Liverpool's agreement to sign the midfielder from AS Monaco. The 24-year-old will join the Reds on July 1 after 225 appearances and 29 goals for the French club, with whom he won the Ligue 1 title in 2016-17. Lemar has been left out of his past two games by Monaco, i'm wondering is there something about to happen here as normally when a player is dropped during a transfer window with rumours of a move surrounding him it usually means a move is imminent. We've been heavily linked with him, 90 million is the reported price but as i've not seen much of him i can't really comment on his quality but surely any help we can get right now will only benifit us.